We’ve worked with many respected companies and government bodies, including the NSW Government, Governor of NSW, Destination NSW, Venues NSW, Sydney Olympic Park Authority and the Royal Agricultural Society. We create 360° VR Content that works! You’ll enhance your brand’s authority and prestige, and boost sales. We use the latest technologies to deliver stunning results on mobiles, tablets, computers and virtual reality headsets. Every project starts from blank sheet of paper. We create it from scratch to ensure it meets your needs exactly. Built using the latest computer technology in tandem with the very best of 360-degree imagery, Rapturous Media creates a virtual reality experience of any physical location that is entirely interactive. Putting your customer in the driving seat, this seamless blend of photo/videography and technology allows your customer to explore your product at their leisure from any mobile, tablet, computer or virtual reality headset. Your customers can explore events, venues and any kind of business where the location is at the heart of the customer experience. Portable, adaptable and entirely customised to your business needs, choose Rapturous Media to capture the essence of your location or event to full potential. Rapturous Media is 360° VR interactive content provider based in Sydney with clients all across Australia and New Zealand. We serve all major cities include Melbourne, Brisbane, Perth, Gold Coast, Adelaide, Darwin, Cairns, Auckland and Wellington as well as rural areas. Unlike other solutions on the market, the Rapturous Media interactive VR experience is entirely customised to suit your needs. The software and hardware used to develop your project matches exactly to the needs of your sales team. First, we meet to discuss your project, its uses and intended audience, and to understand your particular requirements. From here, we take your vision for the project and marry it with our knowledge of what works from a creative and technical point of view with your target audience. Taking into account constraints such as budget and time, we will identify and scope the most appropriate ways to approach your project. We take the time to explore all the possibilities available to you, and from here, formulate some different ways to create the best possible outcome for your project. Usually, this will result in the presentation of a selection of ideas on how best to approach your project. From here, we seek your feedback and delve into the scoping stage in earnest. During the scoping stage, significant details are discussed and massaged until you are completely happy with your chosen option. Then we conduct the photographic shoot before heading into the studio to develop the online, mobile and/or tablet site for your project and producing a seamless 360-degree experience. We’ve worked with someone of Australia’s most well regarded and respected venues and events to create immersive experiences that help educate, entertain and captivate audiences the world over. Our clients include government organisations such as Destination NSW and Venues NSW, iconic locations such as Sydney Olympic Park and Macquarie University, and world famous events such as Vivid Sydney and Sculptures by the Sea. And this is just the beginning. Colour, creativity and the truly immersive experience collide to create an experience that is second only to being there in person. Take your public event to the next level with an interactive tour that allows the participant to learn, experience and even control the imagery they see. Entice customers to your venue with sumptuous tours that include not only the beauty of your venue, but the essential information needed to secure the all important sale. Allow people the opportunity to explore your facilities, interact with your venue and experience your buildings and grounds from anywhere in the world. Rapturous Media create bespoke VR experiences that allow you to enable your sales team, please your customers, and demonstrate the wonder and the beauty associated with any physical location or event. Easy to use, accessible via the internet from any device and therefore entirely portable, a Rapturous Media project opens doors and imaginations to the possibilities of the venue from the comfort of your customer’s living room. Browse our portfolio to see how we helped our clients. Contact us today to see how we could help grow your business ! Rapturous Media is the culmination of the passion, learning and skills of Managing Director, Ondrej Koucky. As an avid world traveller and photographer, Ondrej saw the gap between the beautiful reality of a particular location and the translation of it into a photo. With the desire to create a truly immersive and full sensory experience of a given landscape, Ondrej began a journey of acquiring the right kind of technical and artistic knowledge to make his dream a reality. The result is a custom built engine that creates a perfectly seamless 360-degree experience coupled with exquisite professional photography that allows the audience to truly feel immersed and in control of their visual exploration. 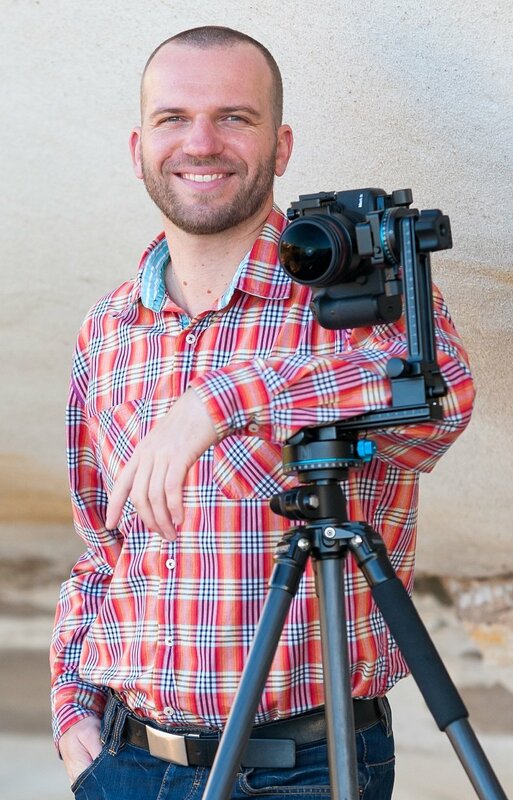 Bringing world-class virtual tours with professional photography to commercial businesses has been Ondrej’s trade for over 10 years in Sydney. Increased interest in the use of Ondrej’s completely customised interactive experiences has led to the creation of Rapturous Media. Ondrej used his connections, technology and wealth of knowledge to draw together a specialist team dedicated to serving clients all around the world. To find out more, contact Ondrej directly to discuss how Rapturous Media can work for you.